Circles are a symbol of continuity which makes them the perfect element for jewelry. The Personalized Circle Pendant Necklace is designed with a sterling silver circle, customized with a unique engraving. 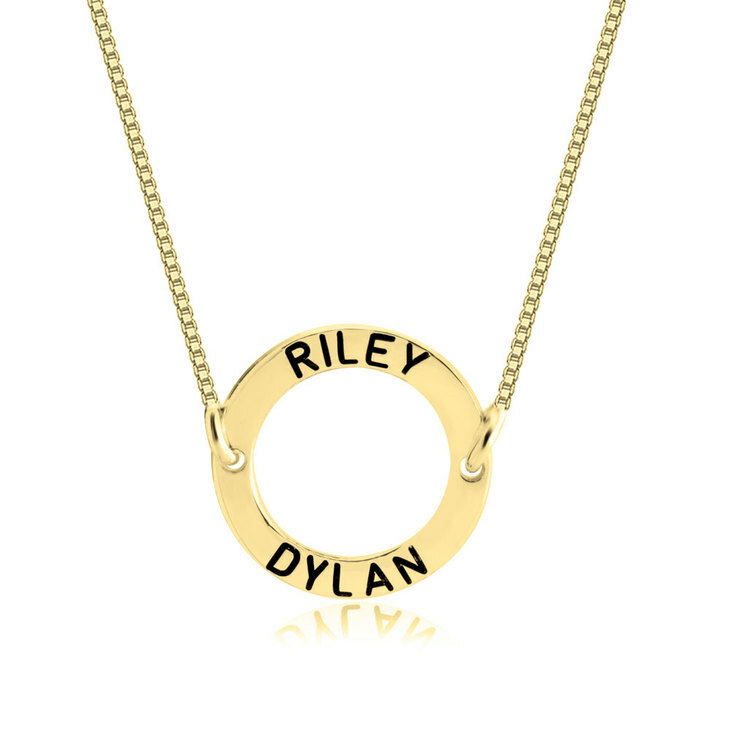 You can personalize your necklace with the names of your children or loved ones to make it your own unique piece of jewelry. Or you can put a name and a date. This necklace is also available in 24K Gold Plating or 24K Rose Gold Plating. 14mm x 14mm / 0.55" x 0.55"
Literally received my purchase within 5 days and it looked exactly like the picture! Definitely a must have purchase, you will not go wrong. Beautiful necklace. Excellent quality. It would be nicer if shipping process were a little faster. Très satisfait de ma commande. Je conseille c'est super.